David Hunter DipWSET is a face known to a great many people who studied at the WSET School London. Over the course of 20 years with WSET David has enthused and educated thousands of students as part of the teaching faculty, as well as contributed to the growth of WSET with roles in the UK Business Development team. On his retirement, we asked him about his lifetime in the wine trade…. What was your first role in the wine trade? I guess you could say that I started out in the trade on a 'gap' year. I went to Germany in September 1968 with H Sichel Söhne and worked in the cellars and on the bottling line. It was an extraordinary experience, on my first day I was given a wine tasting by one of the Directors! Although my original intention was to stay for just three and a-half months, as I was due back home in time for Christmas, I returned to Germany in January 1969 and, following an interview with Walter Sichel on one of his visits from London, I was offered a job to work for H Sichel & Sons Ltd. I was then put on an apprenticeship programme to gain a full understanding of as many aspects of the wine business as possible. I continued on working in Germany until the end of July and got involved with many of the frequent customer visits. What did your apprenticeship involve? I went to Maison Sichel in Bordeaux where I worked in the cellars and bottling line, as well as picking grapes of the 1969 harvest at Ch. Angludet, Margaux, the home of Peter and Diana Sichel. In January 1970, I returned to the UK and I started work at the central London office of H Sichel & Sons Ltd. I was working in their order and shipping departments, with the latter this meant entering all the details of arriving wines into the cask book as well as keeping the stock trays updated. I returned to Bordeaux in April/May 1972 where I was tasked with looking after visiting customers, taking them round the various chateaux and wineries as well as entertaining them for dinner etc. In June/July I went straight to Mainz, Germany doing a similar thing. And when your apprenticeship ended? When they considered me to be sufficiently knowledgeable about the business, I was assigned the territory of what was then the West Riding of Yorkshire, stretching from Harrogate in the north down to Mansfield (north Nottinghamshire). I then took on the rest of Yorkshire, North Humberside, and the North East as well as Scotland, taking over from the Baron Alexander von Falkenhausen (known to everybody as 'the Baron' or plain 'Alex) who was due to retire. Subsequently in 1978 I became responsible for Northern Ireland where we had an agent, John McKibbin & Sons Ltd (part of the Irish Bonding Group, which became Guinness). I increasingly became involved on the purchasing side, initially for Germany, and started to go on regular blending and purchasing visits to Germany. In 1980 I was appointed a director of H Sichel & Sons Ltd and gradually became responsible for the purchasing of all French and German wines. I also became involved with the expanding agency portfolio and went to Oporto to help blend Quinta do Noval. I left Sichel in June 1993 when the London company had started to go into voluntary liquidation. I did one or two different jobs including being a yellow jacket/runner on the Liffe Exchange (!) but found an administrative position in early 1994 with Tim Garland who had just set up a small agency company dealing mainly with Spanish and US Pacific Coast wines. When did you first join WSET? My first involvement with WSET was taking their courses; I took what was then the 'Higher Certificate' in 1970 and the Diploma in 1973. Later on I became involved with the Walter Sichel Scholarship (Germany) and liaised with WSET regarding both choice of scholar and the ensuing scholarship trip. I have also been a WSET Trustee, acting as the WSTA’s representative for a year. That was in 1992. I then applied for an administrative role in the Awards team, but was unsuccessful as they considered me overqualified! Then in January 1996 I received a call from Andrew Paviour (Chief Executive at that time), followed with lunch with him at the In and Out Club, and was offered the role of taking over running external custom courses. That was the beginning of my 20 year career with WSET. What have been your favourite moments of working with WSET? On a personal level, I most enjoyed teaching and having the opportunity to convey my knowledge and enthusiasm for my specialist subjects, such as German wines. When I started teaching these had an unfair reputation for not being as good as they really were. More generally, I have loved being involved with the development of WSET and the ethos behind WSET qualifications. The whole palate of taste and flavour is taught, with all wines on a level playing field against other wines on the world stage. WSET’s courses are exceptional for introducing people to new wine regions or ways of thinking. What were the biggest changes at WSET during your time there? The organisation has mushroomed from something that was perhaps seen as a bit insular to thriving around the world. 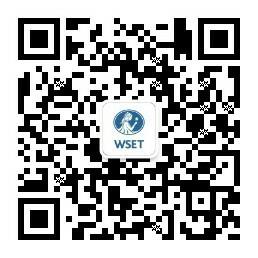 WSET is now truly international, with qualifications available in over 70 countries. The other big change has been the huge increase in student numbers coming from outside the wine and spirits industry. It wasn’t until 1991 that WSET opened its courses to non-professionals, and since then interest has grown exponentially. What would you say have been the biggest changes to the industry (good and bad) over your career? The bad - probably that there are many top wines which have become so expensive that they are out of reach for ordinary people. They are important to the overall picture of wine, but few people will get the chance to taste them. The good – standards in wine making are so much higher and wine is a lot cleaner now that there are few faulty wines. Winemakers have so many more tools at their disposal now to craft their wines; I think it’s essential though that wine retains its sense of place and character. Wine is different to most products people buy, it needs to retain its unique nature. I have loved being involved with the development of WSET and the ethos behind WSET qualifications. WSET’s courses are exceptional for introducing people to new wine regions or ways of thinking. What would you recommend to anyone wanting to learn more about wine and the wine trade? I think visiting different wine regions is hugely important. The wine world is very international now and if you look at the benefits the Old World has had from young winemakers working in the New World (and vice versa) it has brought about the best of both. The truth is there’s always something new when it comes to wine so you’re always learning. There will be new vintages, changes to regulations, people trying new things. It’s fair to say all you ever know is how much you don’t know. WSET qualifications can make a big difference however, the lessons they teach will give you the groundwork to build on. It’s been fantastic working in wine and I hope that younger people coming in today get to experience what I did! Finally, what would your desert island wines be? I would have to pick wines from Germany and Bordeaux because of how much time I spent there, really for me it’s more about the people than the wine and I’ve developed lifelong friends from when I started working. So for the red I would take Chateau Palmer which I worked with a lot, specifically ’61 or the ’70 vintage. For the white I would take a Dry Riesling from Germany, a very good Grosses Gewächs. David is still involved in the wine world in various roles, so no doubt you will see him around the industry at tastings and events.